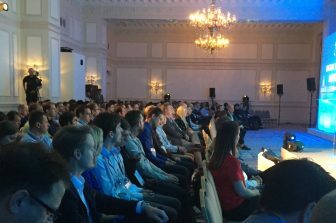 At the 2017 Digital Velocity conference awards in London, the inaugural DV Awards were held. 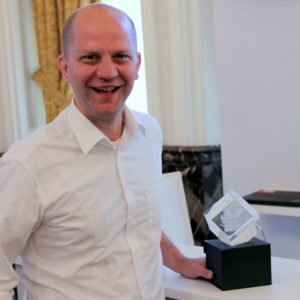 Danish insurance company Tryg Forsikring received the Transformer of the Year Award for the best transformation of an organisation with the implementation of Tealium TMS (Tag Management System). It is great to see our business partners (both Tealium and Tryg) take marketing technology to the next level and even greater to see a Danish brand awarded on an international stage. The journey to this next level of data management brings its challenges, but the rewards are exponential. At the IIH Nordic booth at the Digital Velocity event, I spent some time with Martin Vinter (the project leader and instigator for implementing Tealium’s technology at Tryg) and we talked about the Tryg journey with Tealium. Jomar: What were some of the data challenges that you had prior implementing Tealium IQ? Martin: Web analytics data was faulty and lacking in both broadness and depth. The faults made it impossible to democratise the data. You had to know the quirks in the data to make use of it. That limited the use of web analytics data to a few experts. It was impractical for us, actually very near to impossible, to fix the many issues we had. As a tag change prior to implementing Tealium would have cost at least 20,000 dkr for the development (plus a massive overhead) as well as waiting time of at least 3 months to get it done. Jomar: What does the technology enable from a data perspective? Most importantly, it enables us to work with and tweak the data collection on a day-to-day basis. If we discover an issue or improvement opportunity, we very often have it fixed in a matter of hours. We’ve done more than 100 roll-outs to production in the past 12 months, many of which contain multiple tag improvements. When you compare this to the 10-15 tag changes we did in a year prior to shifting to Tealium, the massive shift in agility really stands out. It also means that our data is accurate and that the usage can be democratised. As a result, the number of web analytics users has quadrupled over the last year or so, and I only think we’ve seen the beginning of that. The last important change is that Tealium has brought along the concept of iterative experimentation to our work with website tags. That enables us to build things that we’re not entirely sure how to do when we begin, whereas we had to be exactly sure what we wanted to ask the developer to do for us prior to investing in Tealium. This is actually a fundamental change because it enables us to do things now, that were simply impossible or impractical before. Jomar: Who are the key stakeholders in the getting this technology approved and what are the benefits to them? Marketing and online have been the two major sponsors. IT has been a gatekeeper. Once they understood the technology and the savings it would bring them, they slowly changed the mood from being sceptics to sponsors. Jomar: Were there any initial objections internally? And if so, how were they addressed? The major discussion was actually around who should pay. With a lot of departments benefiting, you also have a lot of departments who could contribute to paying the bill. It developed into a frozen poker game where everyone waited for the other to break. It took a very long time before a compromise was reached. On top of that there were the usual security and legal evaluations, none of which were really an issue, it just took some time. Jomar: Are there any benefits that have arisen since the implementation, that you were not expecting? After we started the implementation, the datawarehouse team asked for a copy of all out web data in their new Azure-based datewarehouse. We got a stream of everything in the datalayer set up in just under a week. The issues that took up the most time were cors and certificate issues that had little to do with Tealium. A tag manager is a powerful tool and you can cause some very nasty errors on the site if you don’t do things right. We had our share of those as well, especially to begin with when we were just starting in the world of tag management. Still, a tag manager also has the power to fix most mistakes very rapidly, so the few serious errors we made that affected user experience didn’t get to live for more than a few hours. The main challenge has been to make sure that the datalayer that feeds Tealium with custom data is set up right. It has to be exactly right or the data we get in our analytics will be faulty. The quality of the implementation we got from the projects that had datalayer implementation as part of their delivery has been varying, and it has not always been easy to explain to them that they had to fix a myriad of very small issues with capital letters, spelling mistakes and so on. We got it done eventually, however. Digital Velocity is Tealium’s annual customer education and training event. IIH Nordic is proud to have been a partner of this conference and proud to celebrate Tryg’s success stories!